Sannan sipped the super-soldier serum. In episode 6, Chizuru meets real-life oni, a doppelganger, and is told by Hijikata that the Shinsengumi would have no problems killing her. When will humanity learn? 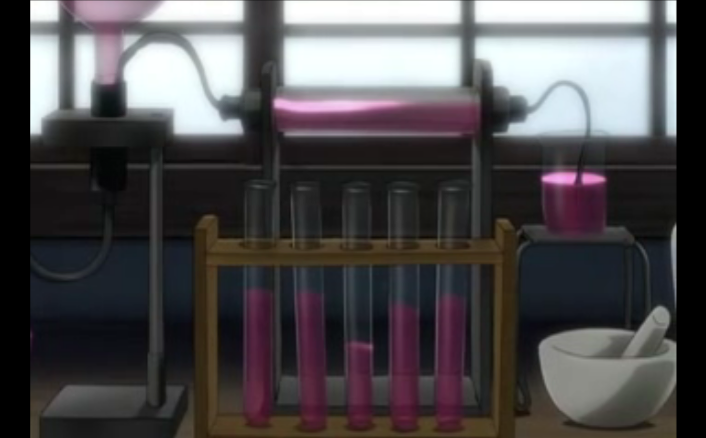 These "super soldier" formulas always cause trouble. Keisuke Sannan has taken the formula, but it is believed he is keeping the ill-effects in check, despite indications that he cannot go outside in the sunlight. 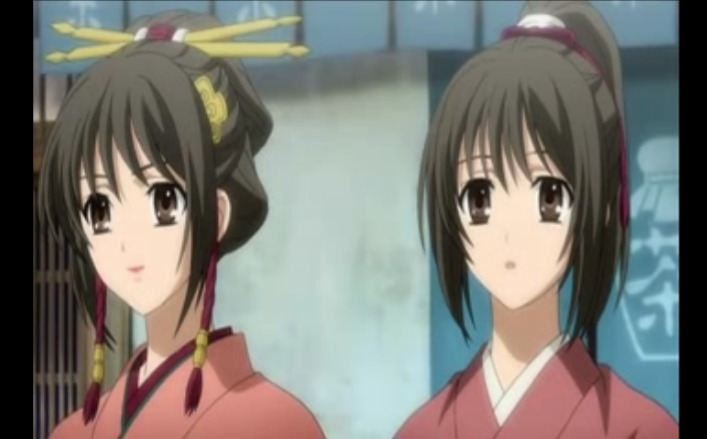 The Shinsengumi leaders decide to cover up the situation, so they tell Itou that Sannan has died, and they move to the larger headquarters at Nishi Hongan-ji temple, where they hope they can keep him hidden from Itou’s faction. 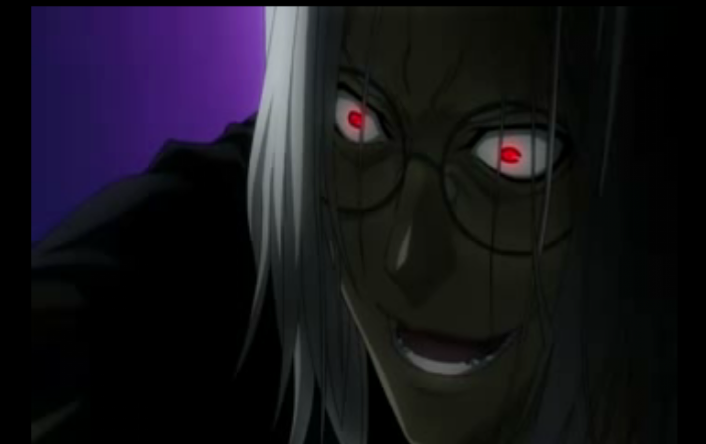 Kashitarou Itou, do you trust this man? Heisuke Toudou has returned from Edo, but he doesn’t seem to be on the same wavelength as the rest of the group. He doesn’t like the changes he sees in Kyoto, and, when asked to join the group protecting the shogun, he declines. Since Heisuke didn’t like being left behind for health reasons before, his actions seem suspicious. 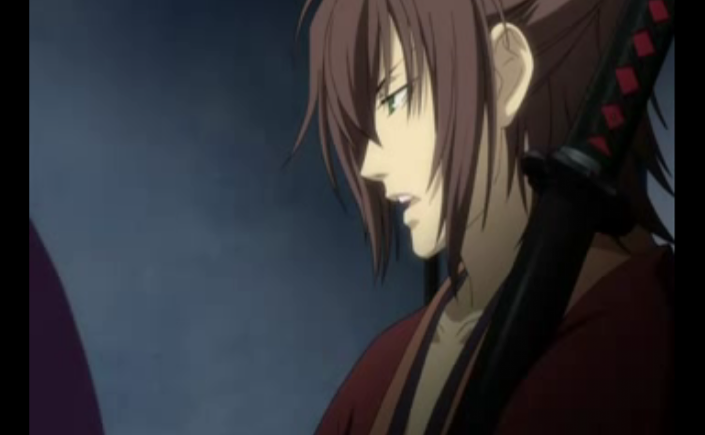 Souji Okita a great swordsman with a bad cough. Souji’s health problems continue. 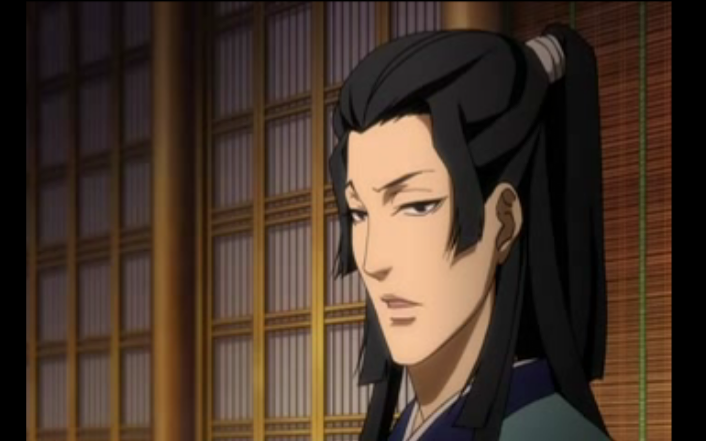 His cough is quite noticeable, so he is ordered to stay out of the Shogun’s guard detail. But earlier Souji rescued a girl from being harassed. It turns out that the girl, whose name was Kaoru Nagumo, looks very much like Chizuru. 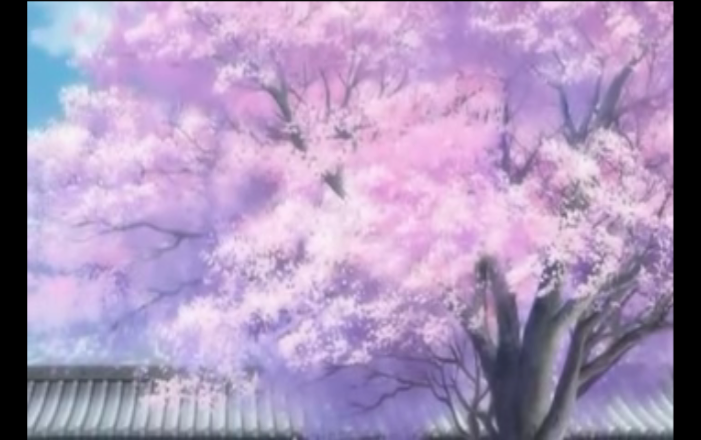 This doesn’t explain much, as the interaction was short, but it does shed some light on the OP, which shows what looks like Chizuru in a kimono (at about the 1:05 mark). 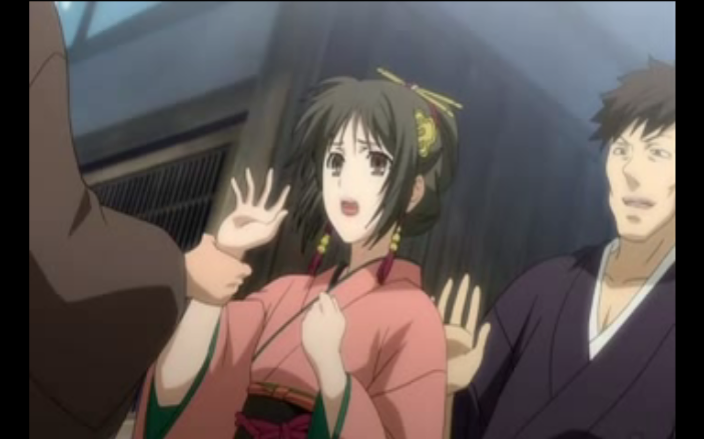 Finally, Chizuru is out running around at night by herself, when she sees the three bad guys from episode 4. Apparently they have snuck into the new Shinsengumi base at the temple. They claim to be oni, and say that Chizuru is oni as well, as evidenced by her name and sword (and the fact that she has super healing powers). They declare their intention to abduct her as the cliff hanger. Enjoy moments of calm when you can find them, for they don't last long. Instead of resolving anything, this episode threw some more balls in the air. I really didn’t expect another character introduction (unless it was Chizuru’s father, or a proper introduction to the female characters glimpsed briefly at the beginning of episode 4). I’m really not sure what to make of Kaoru’s introduction; the horned shadow in the background seems to fit even more with Chiziru now that there is talk of her having a demon (oni) bloodline. Next week is the exact middle of the series, so I guess they’ll need to stop putting new things on the plate soon!